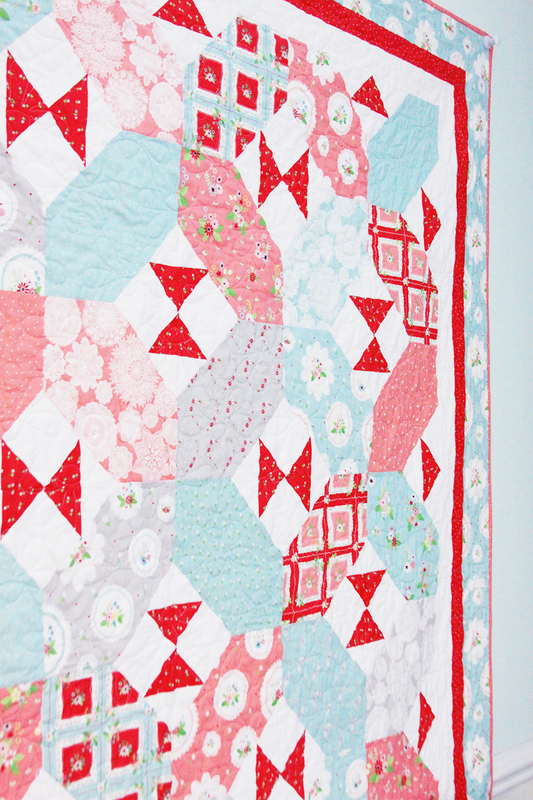 I’m so excited about today’s new quilt pattern release! 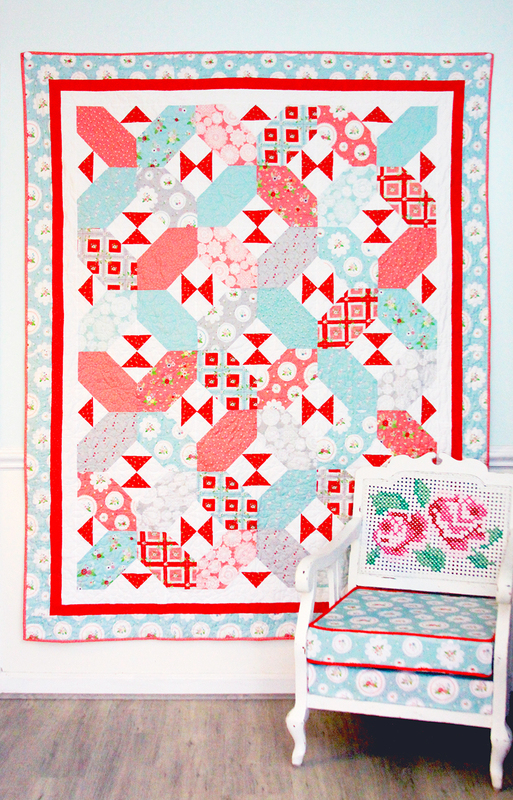 This new X’s and Bows Quilt Pattern is so fun to sew up! 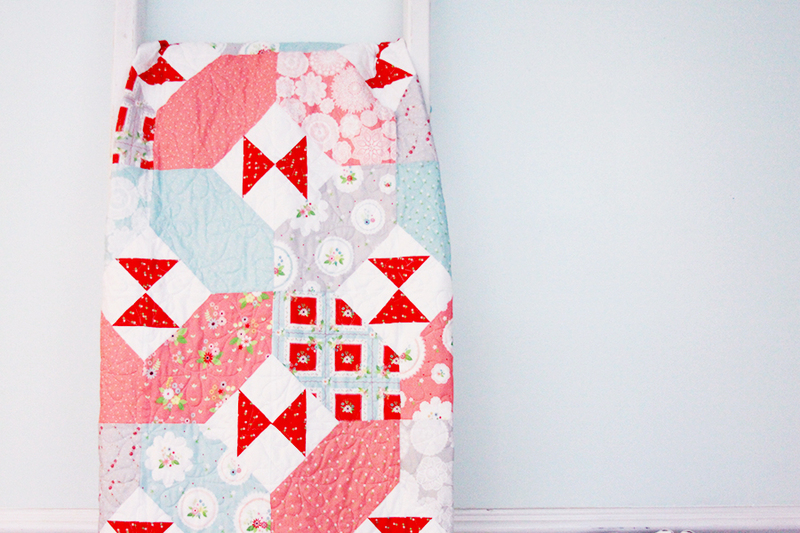 I mean – anything with little quilty bows is great right? The big X’s are great for showing off large print designs too! 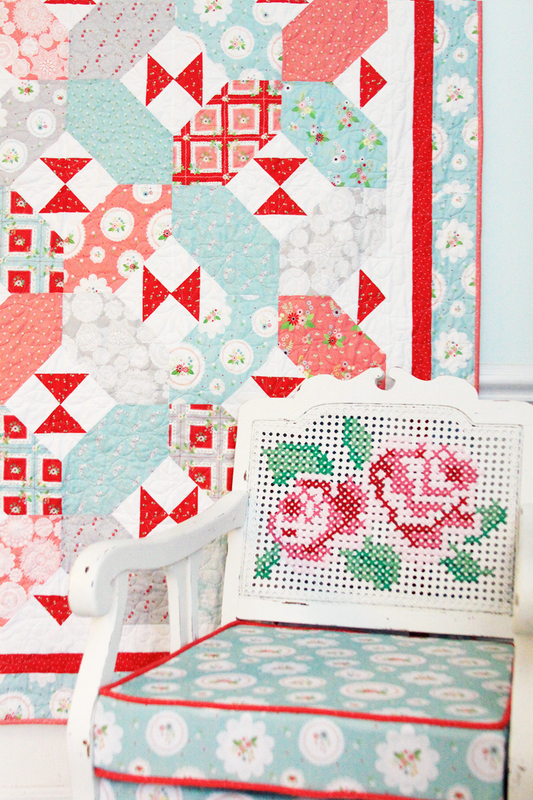 I made it up in Vintage Keepsakes and I love that you can see those fun doily and handkerchief prints! For this version I backed it in the Vintage Keepsakes Doily gray. I am so excited about how it looks with subtle lace print. It was quilted by my good friend Julie Williams quilting – she does out of town quilting too if you need a fabulous longarm quilter! I’m also very much in love with how it looks with my fun cross-stitch chair! I recovered the cushion for last fall’s quilt market. I think it goes with the stitching perfectly! You can find the pattern in my shop! And here’s all the info! I have this in Paper and PDF versions so you can pick whichever you prefer! 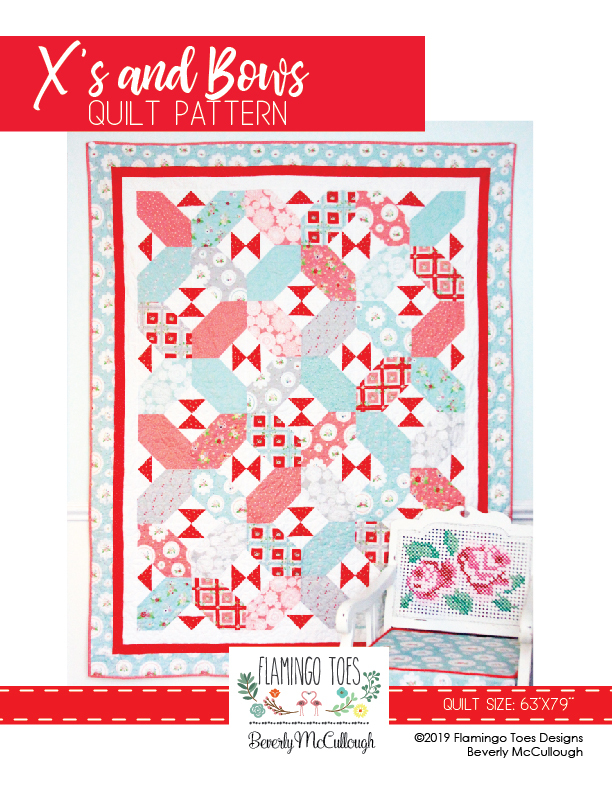 The pattern comes with all instructions, a coloring guide and a template as well! 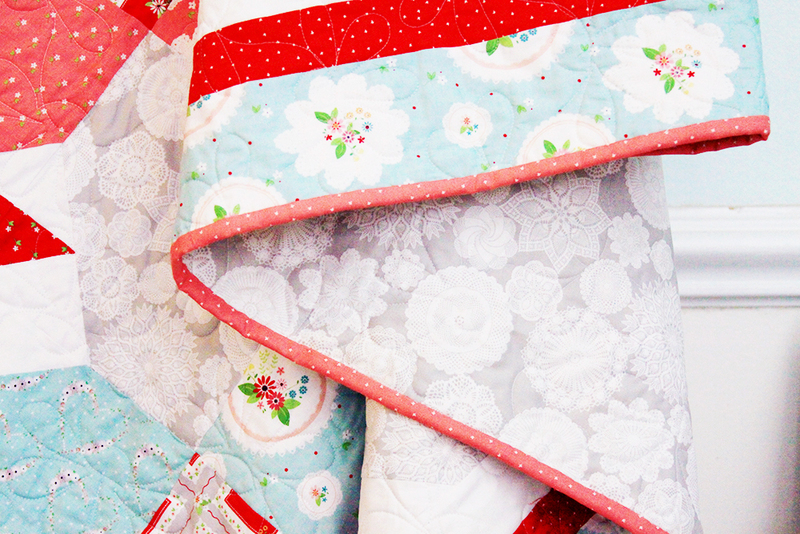 You can also find a few fat quarter bundles of Vintage Keepsakes in the shop but hurry – there aren’t many left! I’m also offering a discount code now through Wednesday!! Enter the code NEWPATTERN at checkout for 20% off!! So sweet! What beautiful use of colors to show someone how much they mean to you. Beautiful. Love the chair too. Congratulations! It is beautiful….all the best!